Arthur Curry/Aquaman (Jason Momoa) must find a powerful trident to give him the power to reclaim the throne of Atlantis, as he comes to terms with his place in the world. In his way is the vindictive Black Manta (Yahya Abdul-Mateen II) and evil half-brother Orm (Patrick Wilson). Aquaman features a fairly rudimentary story; a coming-of-age tale filled with clichéd characters and plot twists you can see a mile away. It’s commonplace with a lot of origin stories in the comic-book movie genre, so it can be forgiven considering audiences should be well used to it by now. Where a film like this, or any other with a similar structure can redeem itself is with its character and world-building, emotional impact and entertainment value. This is where Aquaman succeeds (for the most part). 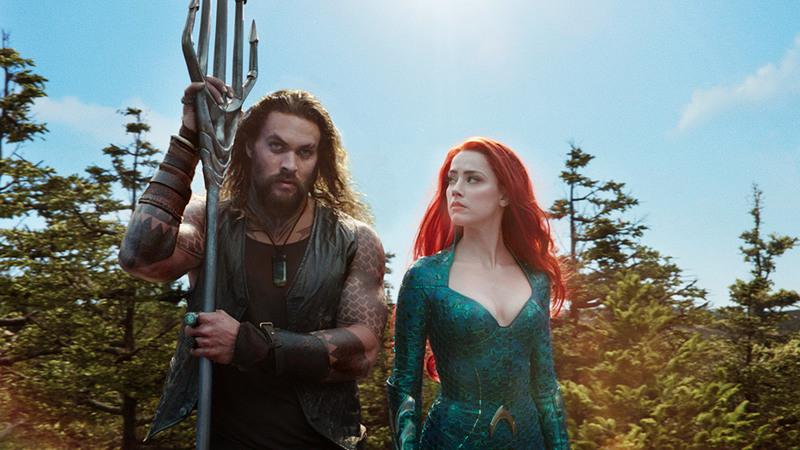 The film takes the time to build its lead characters, even taking a long chunk in the middle of the film to explore the relationship between Aquaman and Mera (Amber Heard), allowing the filmmakers to dig a bit deeper into the personalities of these characters, giving the audience time to invest in them. It’s a slight tonal misjudgment during this sequence, however, there is plenty of awe-inspiring action to help us forget its shortcomings. While the film’s leads get a good amount of character building, its supporting cast, unfortunately, do not. Patrick Wilson’s character Orm is essentially a surface-level villain with a lot more story to tell but was underexplored. Yahya Abdul-Mateen II’s Black Manta could have been left out of the movie altogether and it wouldn’t have made much difference. It’s a massive shame because Mateen II’s portrayal was spot on, and was by far the most intriguing side-character in the film. The rest of the supporting cast felt as though they were there merely to service the plot. A riveting narrative is rare in mainstream superhero movies, so filmmakers often rely on the whiz-bang set pieces and gorgeous visual effects to wow audiences. Aquaman hits the mark on those fronts, and splendidly. 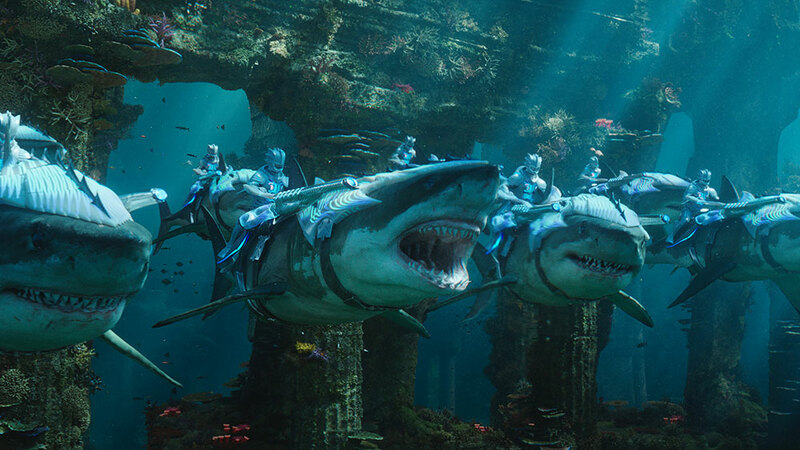 Director James Wan and his creative team have built an underwater world with a richness, vibrancy and diversity that we haven’t seen since James Cameron’s Avatar (2009). Aquaman won’t change the game like that film did but a lot of credit must be given here in terms of the thought and care put into creating this world and its amazing look. Aquaman is DC’s first successful move into a lighter-toned future and it seems to have worked well. The film feels like it’s been ripped straight out of the pages of a comic-book, much to its advantage. It’s dumb, silly, cheesy and at times, funny, never taking itself too seriously. It takes its cues from adventure films of the past including the likes of the Indiana Jones series, where you don’t need to think much, but just go along for the ride. As far as blueprints for tentpole blockbuster movies go, Aquaman hits the schematics perfectly, making for one entertaining, action-packed cinematic journey. Jason Momoa specifically requested Temuera Morrison for the role of Arthur’s father, Tom. Morrison is one of Momoa’s acting idols.